Iran denounced Israeli “lies” on Saturday and said Syria had the right to “legitimate self-defence” in response to Israeli air strikes launched after an alleged drone incursion into its territory. “Iran believes Syria has the right to legitimate self-defence. To cover their crimes in the region, Israeli officials are resorting to lies against other countries,” foreign ministry spokesman Bahram Ghasemi told AFP. An Israeli fighter jet crashed under fire from Syrian air defences. That prompted Israel to unleash a dozen retaliatory strikes on both Syrian and Iranian targets inside Syria. Iran issued a joint statement alongside the other main allies of the Syrian regime, Russia and Lebanese militant group Hezbollah, denying the allegations regarding the drone. “The statement by the Israeli enemy that it was targeted by a drone which entered the airspace of occupied Palestine, is nothing but lies and allegations,” the statement said. It said the Israeli air strikes had targeted drones used in the fight against “terrorist organisations, primarily Daesh”, using an alternative name for the Islamic State group. The statement vowed a “relentless response” to “all further aggression”. “Iran does not have a military presence in Syria, and has only sent military advisers at the request of the Syrian government,” Ghasemi told AFP. Crystal Palace goalkeeper Wayne Hennessey did not know what a Nazi salute was when he was charged with making the offensive gesture, says a Football Association panel. 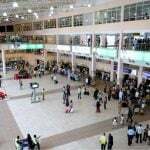 Following rising cases of theft, including a recent robbery of a private jet waiting to take off after bandits accessed the airside of the Murtala Muhammed International Airport (MMIA), Lagos, the federal government has reinforced the security apparatus at the nation’s airports. 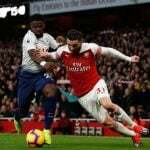 Sead Kolasinac has brushed off speculation linking Arsenal with a summer move for a new left-back. 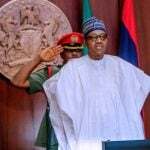 An indication that President Muhammadu Buhari may dissolve the Federal Executive Council (FEC) earlier than the May 29 terminal date of his first term in office emerged yesterday when he asked ministers and agency heads to turn in their handover notes by Wednesday. French forward Andre-Pierre Gignac has claimed Karim Benzema is the ‘best No.9 in the world’.